SINGAPORE, 24 March 2014 – Passenger traffic at Singapore Changi Airport totalled 4.11 million passengers in February 2014, 0.2% less than a year ago. In terms of flight movements, aircraft landings and takeoffs rose by 3.2% to 26,800. Total cargo volume dipped 2.6% to 127,700 tonnes year-on-year. The Lunar New Year holidays this year started in late January, ten days earlier than in 2013. 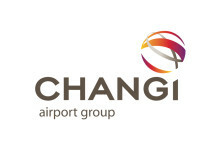 On a combined basis for January and February 2014, Changi Airport registered 8.71 million passengers, an increase of 3.1% compared to the first two months of 2013. During the same two-month period, airfreight handled rose by 0.8% to 279,100 tonnes. In February 2014, passenger traffic to Northeast Asia, Southeast Asia and South Asia grew, offset by a decline in traffic to the Americas as the cessation of non-stop flights to New York and Los Angeles continued to make an impact. 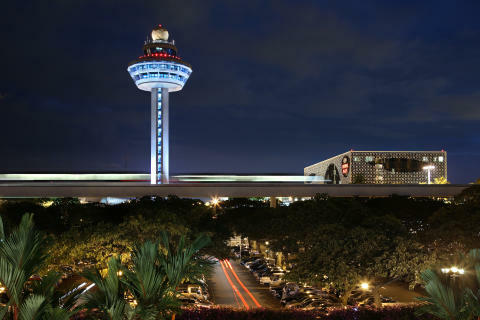 Among Changi Airport’s top destinations, travel to Kuala Lumpur and Denpasar-Bali registered double-digit traffic growth for the month. Bangkok traffic fell by 29%. As at 1 March 2014, more than 100 airlines operate at Changi Airport, connecting Singapore to 280 cities in some 60 countries and territories worldwide. With more than 6,800 weekly scheduled flights, an aircraft takes off or lands at Changi roughly once every 90 seconds. New Stores – Two exciting brands opened their first outlets in the transit areas of Changi Airport. With innovative, functional and affordable products that resonate with both the young and old, Japanese casual wear retailer Uniqlo opened a store at Terminal 1, its first within the transit area of an airport. Featuring distinctive designs that combine stylish elegance with a sporty attitude, global luxury lifestyle brand Michael Kors opened its first boutique in Terminal 3, offering a wide range of accessories and handbags. Famous for their freshly baked artisan bread, sandwiches and pastries, Panopolis opened its first outlet in the public areas of Changi Airport, located in the Departure Check-in Hall of Terminal 3. Changi Airport is the world's fifth busiest airport for international traffic. It served a record 53.7 million passengers from around the globe in 2013. More than 350 retail stores and 120 F&B outlets are situated across three terminals to cater to passengers and visitors. With over 100 airlines providing connectivity to 280 cities worldwide, Changi Airport handles about 6,800 flights every week, or about one every 90 seconds. Singapore Changi Airport managed 4.49 million passenger movements in March 2014, 2.5% lower than a year before. There were 29,100 landings and take-offs at Changi last month, a 2.5% increase compared to March 2013. On the cargo front, 169,800 tonnes of airfreight shipments were processed last month, a slight decline of 1.3% on-year.